‘Imiloa Astronomy Center has a valuable role in our community by augmenting what school children and students learn in the classroom. 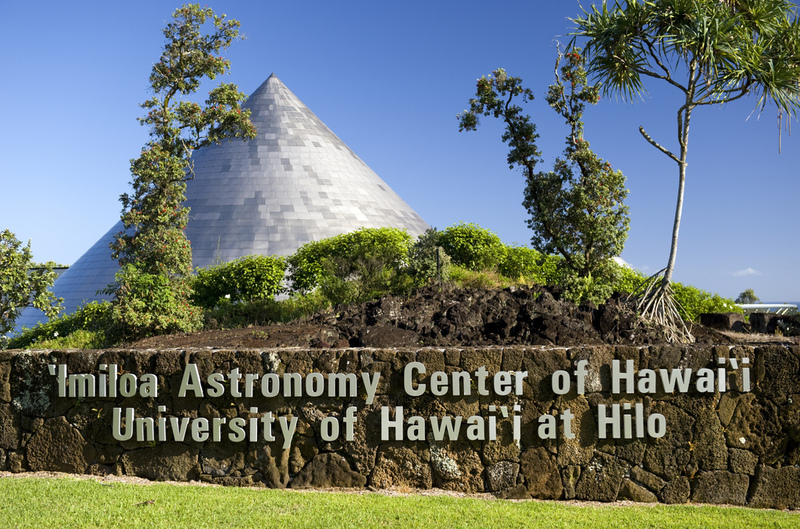 The ‘Imiloa Astronomy Center of Hawai‘i opened on the campus of the University of Hawai‘i at Hilo in 2006. ‘Imiloa, which means “to seek far” and is the Hawaiian word for both explore and explorer, is an educational outreach center primarily focusing on school children, students of all ages, families, and visitors to our island who are interested in learning more about the connections between Hawaiian cultural traditions and the science of astronomy. But ‘Imiloa’s mission is not limited to astronomy. Much of what the center offers involves the exploration of earth and life sciences, fulfilling a valuable role in our community by augmenting what school children and students learn in the classroom by sharing the technology and resources at the exhibit hall and planetarium. Field trips for school children from our island and around the state are on-going at ‘Imiloa throughout the year. This summer, groups of students saw presentations on the active volcano, the universe, and topics specific to their curriculum. A group of 37 youth from the county-sponsored Pāhoa Summer Fun program toured the center and learned about Hawai‘i volcanoes in the interactive CyberCANOE theatre. CyberCANOE stands for “Cyber Enabled Collaboration Analysis Navigation and Observation Environment” and is a 3-D visual explosion of information. The multi-screen CyberCANOE system was installed at ‘Imiloa in 2016, becoming the first tech system of its kind on Hawai‘i Island (the UH Hilo campus now has several CyberCANOE systems installed). This is the data sharing technology of the future and a marvelous way to inspire keiki to learn about Earth and the skies above us. This special day was made possible by a new ‘Imiloa Lava Relief Fund supported by generous personal donations by staff of the Subaru Telescope in Hilo and the National Astronomical Observatory of Japan in Tokyo. Mahalo! Also related to the current lava flow, ‘Imiloa partnered with Hawai‘i Volcanoes National Park on Sundays in July to have park rangers at the center to talk story with the public and provide updates on the eruption. Earlier this summer, in a wonderfully collaborative project with a UH Hilo School of Education teacher cohort, ‘Imiloa hosted the Culture and Science Integration Partnership Project, increasing community outreach by providing professional education to K-5 teachers. ‘Imiloa shared professional development resources with the teachers to support their integration of culture and science, a highly successful model of teaching to inspire our island keiki to study and learn. This type of teacher education deepens ‘Imiloa’s impact in our local communities through the creation of mission relevant learning modules that can be used in formal classroom settings as well as in ʻImiloa informal education programs—all for the benefit of our island keiki. In a new partnership with the UH Hilo Upward Bound program, ʻImiloa hosted a cohort of 20 students in an internship project called STEMulate where students work directly with local organizations for five weeks to help find solutions to real-world problems. This summer, ʻImiloaʻs STEMulate cohort focused on the challenges in managing Maunakea: environmental, cultural, economic, and health and safety. The students studied with experts, conducted research, created exhibits, and gave final presentations. The recommendations made by the students about effective exhibit designs will help ‘Imiloa staff in current and future exhibit development. This is a good example of ‘Imiloa providing a special place for the future leaders of our communities to practice their STEM skills and present scientifically-based recommendations on incorporating Hawaiian culture into education, an important component of ‘Imiloa and UH Hilo’s missions. The Maunakea Speaker Series gives the community unprecedented access to the fascinating research taking place on Maunakea and other topics unique to Hawai‘i. 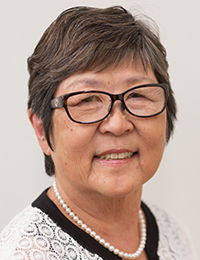 The monthly presentation by local experts and others is a partnership between the Office of Maunakea Management, ‘Imiloa, and the UH Hilo Department of Physics and Astronomy. The series promotes understanding and collaboration across all sectors of the community—the kind of outreach that is central to the mission of UH Hilo. July’s presentation included two Maunakea Scholars from Honokaʻa High School, Hokunani Sanchez and Keilani Steele. These two accomplished students shared the results of their 2017 research into dark nebula. Ms. Steele shared her second Maunakea Scholars project, observing the Draco Dwarf Galaxy at W.M. Keck Observatory. ‘Imiloa is planning two free, fun public events. On Aug. 26, the center is hosting the Second Annual ‘Ōhi‘a Love Fest, a lively festival made especially for kids and families. And on Oct. 28, a family event on Wayfinding will feature traditional open-ocean navigation without instrumentation. You are invited to visit ‘Imiloa and celebrate the wonderful nexus of science and Native Hawaiian cultural traditions.